Dr. Craig Moorman is a psychotherapist, specializing in couple therapy, anxiety, specific phobias, depression, addictions, and men's issues. He holds a Ph.D. in Marriage and Family Therapy from the University of Louisiana, is a Virginia Licensed Professional Counselor with 22 years of experience in counseling, and is recognized by the Washingtonian as one of the Top Mental Health Professionals in the Washington, D.C. area. 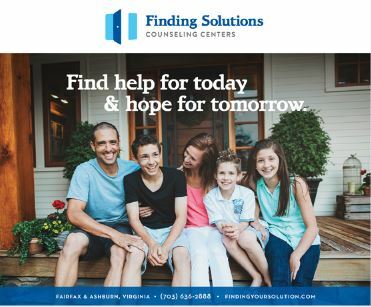 In 2003, Dr. Moorman and his wife, Dr. Adi Moorman, co-founded Finding Solutions Counseling Centers. Unique in the field, Dr. Moorman and his wife, Dr. Adi Moorman, both psychotherapists, offer specialized co-therapy services to couples as a husband and wife team. Individual Therapy – Dr. Moorman has training and many years of experience working with a range of issues, including anxiety, depression, OCD, PTSD, addictions, and men’s issues. He integrates approaches that are best for each client depending on their symptoms and needs, including Cognitive Behavior (CBT), Mindfulness, Systems Theory, Solutions-Focused, Interpersonal Neurobiology (Brain Science), IFS (Internal Family Systems), Attachment Focused Therapy, and Faith-Based. 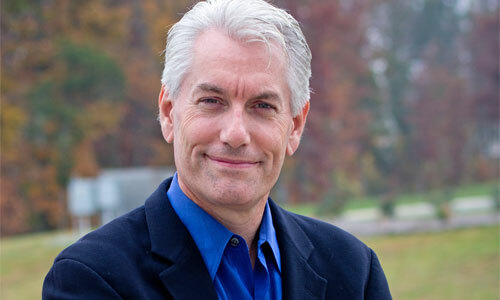 Couples Therapy - Dr. Moorman has extensive training and experience working with couples. He emphasizes compassion and accountability to help couples reconnect, renew their love, and rediscover a deep and lasting relationship. He integrates methods, research and practice of Don Jackson, Gregory Bateson, MRI-BT, Solution Focused, Emotionally Focused Couples Therapy (EFT), Gottman Relational Therapy, Relational Life Institute Theory (RLT), and Internal Family Systems (IFS) in his approach with couples. He has received training from John Gottman, Sue Johnson, Jeffery Schwartz, the Director of MRI-BT and many experts in the field. Dr. Moorman is trained and has had many years of experience in working with a wide variety of couple issues: communication problems, infidelity, parenting, family-of-origin and attachment problems, addictions and others. He specializes in helping couples reduce communication triggers, reach emotional regulation, and work through difficult issues. Dr. Moorman is excited about the results of Conjoint Couples Counseling with his wife, Dr. Adi Moorman, and his colleagues Leslie Jones and Terri Adams. In this model two therapists team up in session to work with couples. As a result, both individuals have a therapist that advocates for them and helps them navigate the process. Individual sessions are also included in the model as a way for couples to process their feelings outside of the couples’ sessions to work on their individual growth, further enhancing the efficacy of the Conjoint Sessions. What else should we know about Dr Moorman? Dr. Moorman has presented three papers for the American Association of Marriage and Family Therapy (AAMFT) International Conference on the topics of brief systemic therapy and prevention and has conducted Family Life Seminars throughout North America and in Asia. He has provided numerous workshops for non-profits, schools, churches, synagogues, social service agencies, universities, and business leaders. He has been a guest speaker on the Fairfax County School District Cable Channel on the subject of teen depression and suicide. His most recent presentation at George Mason University was: Brain-Wise Teaching: Helping Early Childhood Educators to Affect Positive Brain Development in Children. He is published in the Washington Parent Magazine, and he is a co-author of two theory papers with learned societies in the areas of systemic stability and change as related to social systems and families. He has also conducted two major research projects as co-investigator in the areas of couple and family interactions with the Dr. Wendel Ray, Director of Mental Research Institute, Palo Alto, CA, and Dr. Charles Cole, University of Louisiana. Dr. Moorman's last research project focused on how mental health symptoms can be reduced by changing interpersonal patterns in family interacts.